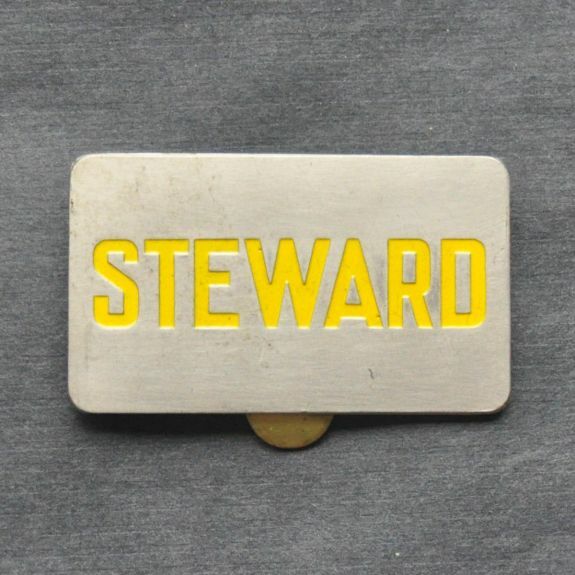 Size 2" x 1.125" x .125"
Description An undated Union Pacific (UP) Railroad Clip-On Steward's Badge. Used to identify the person in charge of the dining car, this badge clipped on to the Steward's suit jacket pocket. 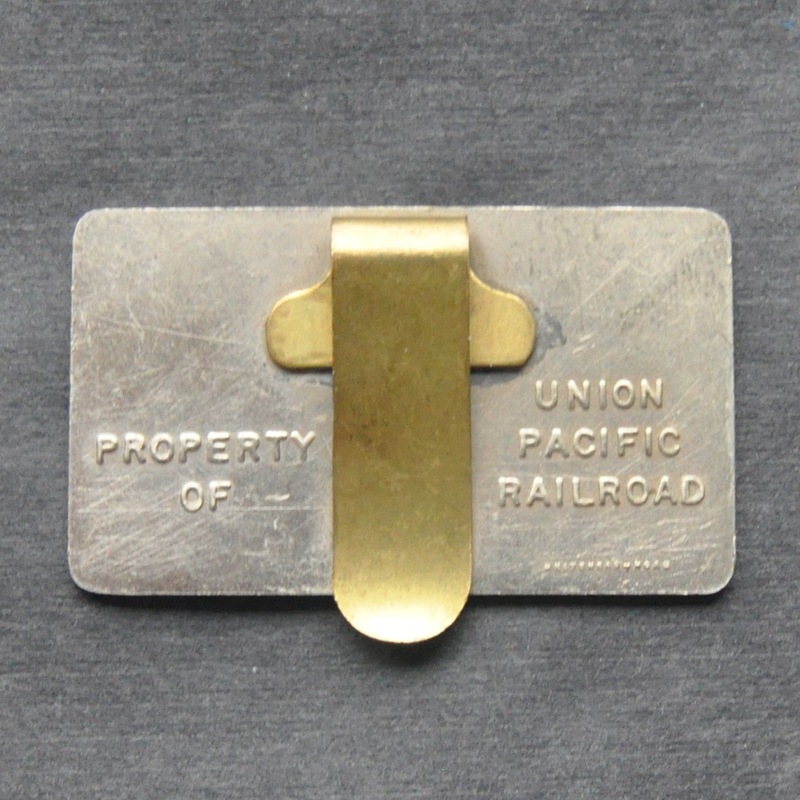 Has Property of Union Pacific Railroad embossed on the back.